The suspension and socket on this light come in a chocolate brown painted finish. The cable is also brown. 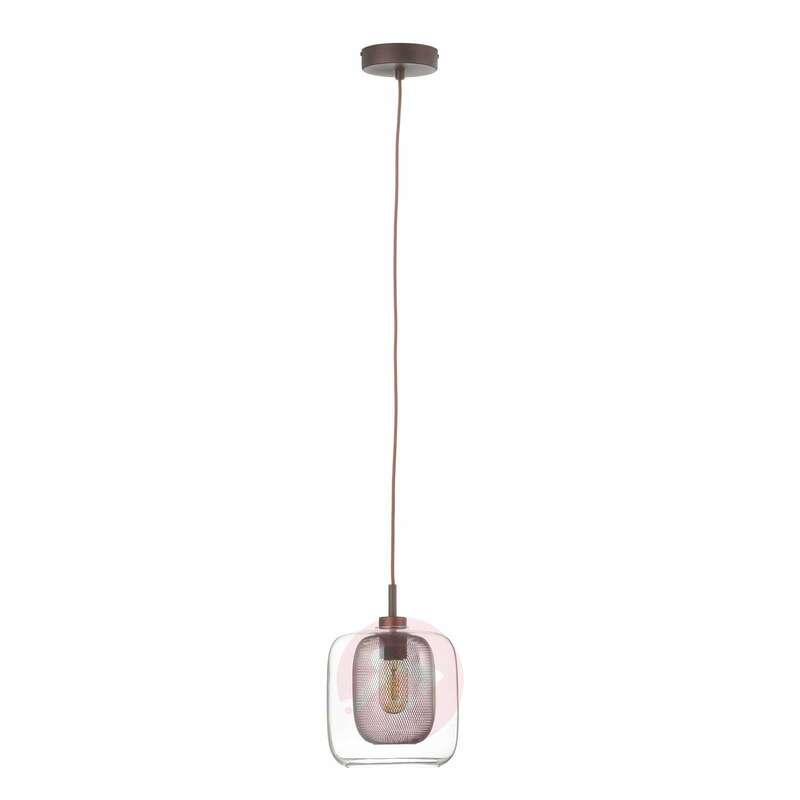 The two-layered lampshade ensures that this pendant light is a decorative eye-catcher: The inner lampshade is made from brown metal mesh, whilst the outer lampshade comes in clear glass. The light looks especially decorative when combined with a vintage-style light bulb, or a bulb with a rustic-looking carbon filament.